So why buy one when you can get two for the same price?! I was singing this earlier and thought I'd put a collection of crosses together to relate to that Jesus fella and the buns. I also had an idea to mention the story about the East London bun pub but, yet again, the Gentle Author has got there first, and done a way better job than I could have, so here's the link to it. 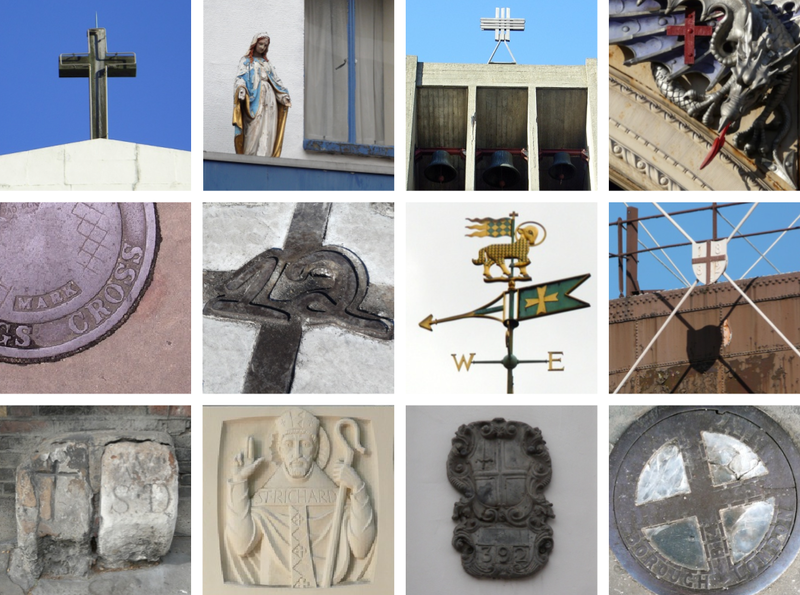 Various London crosses below. And here's a previous Easter collection. Any recommendations for HCBs that actually taste like HCBs? All they seem to be is tasteless bog standard buns, with a papery cross stuck on the top. Have so far tried Sainsburys Taste the Difference, and Asda cranberry and orange. Both rubbish. Please canvas your readers. Well Ms Hotncross from Hertford, I do concur. haven't bought any for years for that very reason. Like shop-bought mince pies they are always disappointing. The tea cake was always superior to the HCB anyway.